Azerbaijan was represented by Paralympic athletes - wheelchair users Aysel Aliyeva, Gandab Akbarli and Maria Samuylova. They made four parachute jumps from an airplane at an altitude of 4,000 meters, Trend Life reported. Maria took sixth place in the second category, Aysel - the sixth in the fourth category, while Gandab ranked seventh. The Organizing Committee of the Festival awarded the athletes with certificates. Secretary General of the National Paralympic Committee of Azerbaijan Kamal Mammadov presented the chairman of the organizing committee of the festival, deputy chairman of the All-Russian Society of Disabled People Flur Nurlygayanov with a diploma on behalf of the President of the Azerbaijan National Paralympic Committee Ilgar Rahimov "For contribution to the development of parachuting among disabled people". 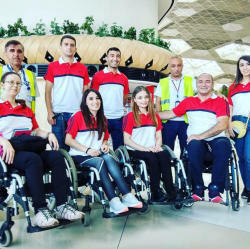 Along with athletes from Russia and Azerbaijan, the sports festival brought together about 120 athletes (31 wheelchair users) from France, Greece, Croatia, Macedonia, Latvia, Belarus, Sweden and Turkey. 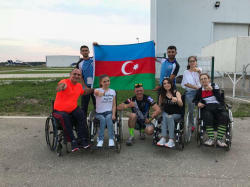 Participants of the festival had also an opportunity to take part in the condemnation of topical issues of the movement "HANDI FLY", got acquainted with the best foreign experience at a roundtable on the theme "Experience, problems and solutions to create an accessible environment and opportunities aviation sports in psycho-social rehabilitation of the disabled. " 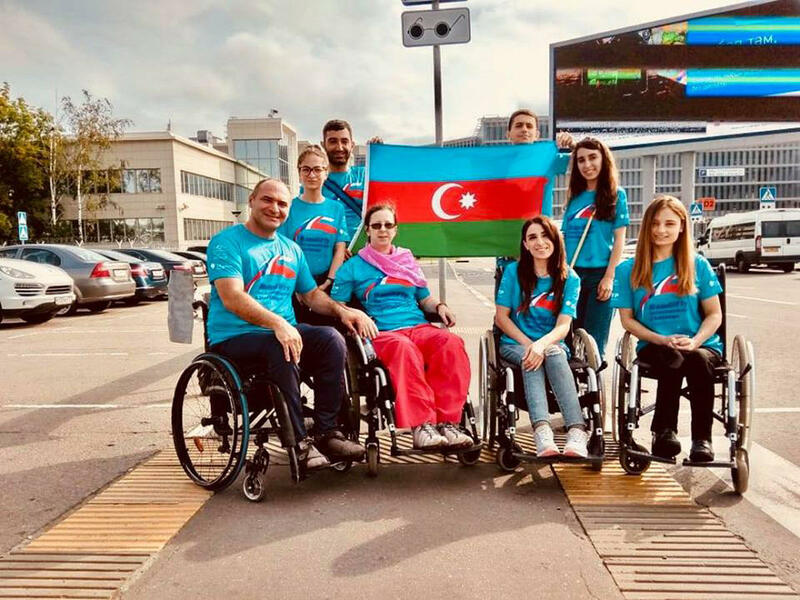 Azerbaijan made its Paralympic Games debut at the 1996 Summer Paralympics in Atlanta, competing in track and field and powerlifting. In the same year the National Paralympic Committee of Azerbaijan was established. Over the past few years, the National paralympic team has made great achievements. Azerbaijan's largest medal haul came in 2012, with a total of twelve medals.